December 12 2018 – DECATUR, Ga Goodwill of North Georgia is announcing the appointment of three new board members for the 2019 fiscal year. Kyle Waide, president and chief executive officer of the Atlanta Community Food Bank is one of three new members. 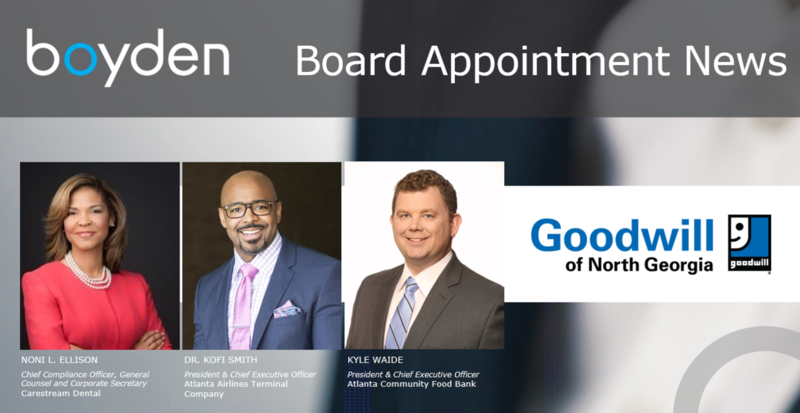 "I am honored and thrilled to join the outstanding group of leaders on the board of Goodwill of North Georgia,” said Waide. “This organization does amazing work in our community to put people to work. I'm excited to do what I can to support Keith Parker and his team as they work to expand and enhance Goodwill's impact in the years to come." 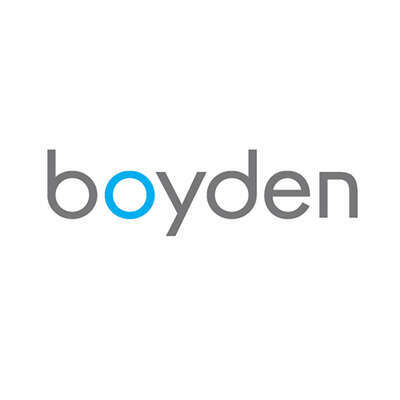 Noni L. Ellison, chief compliance officer, general counsel and corporate secretary for Carestream Dental, is the third addition to the board. “I am thrilled to join the board of Goodwill of North Georgia and support CEO Keith Parker and his leadership team in fulfilling the organization’s mission of putting people to work,” said Ellison. The new and existing board volunteers bring expertise and experience from varying industries to help lead and govern the nonprofit. The mission of Goodwill of North Georgia is to put people to work. The nonprofit has provided services in the region for more than 90 years. In fiscal year 2018, Goodwill of North Georgia provided job training and employment services to 50,872 people and helped 24,902 people find jobs or start new businesses. The organization currently operates 61 stores and about 57 attended donation centers. Revenues generated from Goodwill’s retail program help fund job training and placement programs. For more information about Goodwill of North Georgia, visit GoodwillNG.org.